Erick All, a tight end from Fairfield, Ohio, revealed Sunday on Twitter his commitment to Michigan. Michigan has added its first tight end to its 2019 football recruiting class. Erick All of Fairfield, Ohio, revealed Sunday on Twitter his commitment to Michigan. The 6-foot-4, 225-pound All is considered a three-star prospect, according to the 247Sports Composite. He's ranked No. 19 overall in Ohio and No. 22 in the country among tight ends, according to the composite. 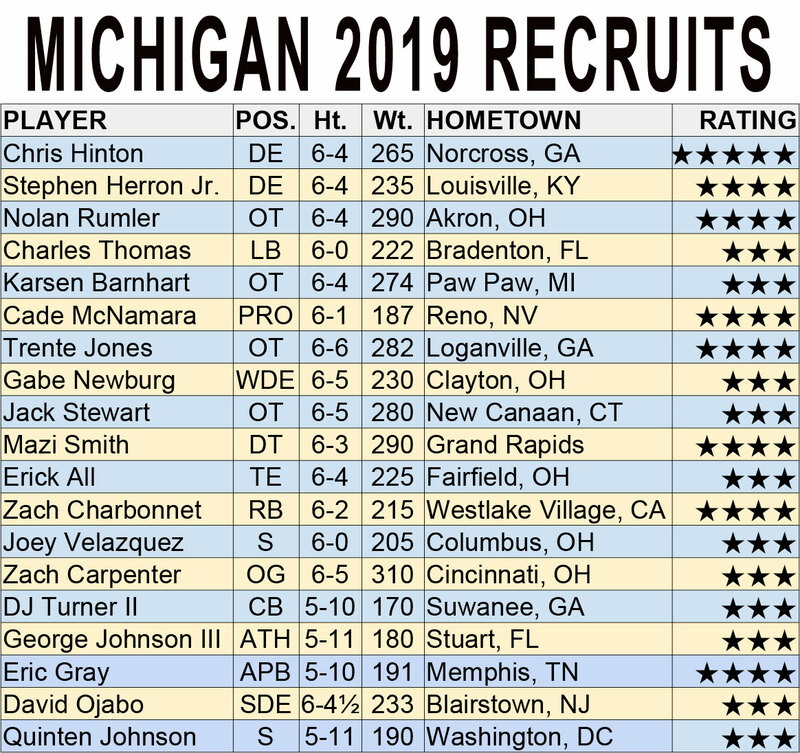 All's pledge gives Michigan 12 verbal commitments in the 2019 class, and the second in three days. On Friday, three-star safety Joey Velazquez of St. Francis De Sales in Columbus, Ohio, said he'd play for the Wolverines, spurning a commitment to play baseball at Ohio State.